8 Reasons to Use Promotional Products. There are many reasons to use promotional products. Here are 8 of my favourite, which can be used at any time of the year and do not need to be put on hold until Christmas. By creating brand awareness, you are letting people know that you exist as a business. If they do not know you exist they cannot do business with you, no matter how good your products are. This may seem like common sense, but quite often businesses stay a well-kept secret. Creating brand awareness may not lead to business straight away, as often people will not need your services immediately. But it will be far more lightly if they know what you do and how you can help them. By knowing your audience, you can appeal to them with a relevant promotional product, which will be interesting to them. If you do not know your ideal client, then it is probably a good idea to work this out first as otherwise, your campaign may be far less successful than you hoped for. Try to choose products which are relevant and represent your business message. Promotional products are a great way to start a new relationship and to break the ice. They give your audience an insight into what you do and are a good conversation starter. You can give a good quality promotional product before a meeting, or when people visit your trade show stand. Alternatively, you can use them to send out as a direct mailing campaign (lumpy mail), which is a good conversational starter for the follow-up call. I am presuming you already have a great product or service, so it is only sensible for you to let people know about your offering. 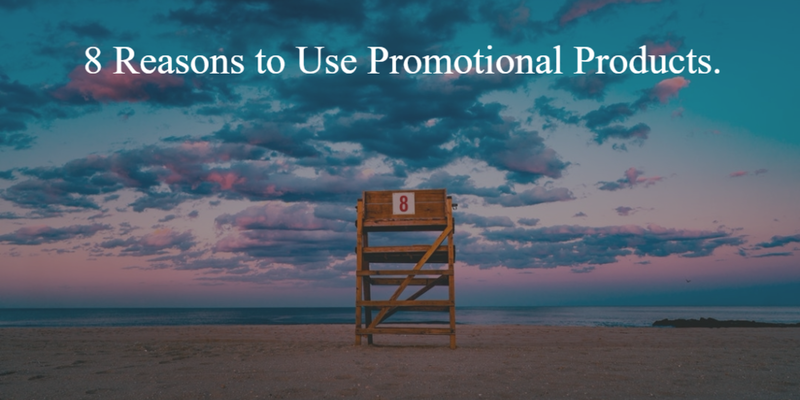 By giving a promotional product, you will make people feel appreciated, which can only be a positive thing. Research from the BPMA found that over 79% of people who receive a promotional product felt appreciated and over 47% felt happy. By giving a promotional product to a client or prospect, due to the law of reciprocation, they are far more lightly to buy from you. This is not guaranteed but people do feel the need to give back when they have received a gift. Often there is a lot of contact with a prospect or client from the initial contact until the purchase has been made and then they are just suddenly cut off and not contacted again. Which can leave them feeling a little letdown. By sending a gift a few days after their purchase has been made, it is unexpected and a nice way to say thank you. Which as long as they were happy with their purchase, will make them far more lightly to buy from you again. As 68% of people stop buying from a business due to them being much the same as other businesses. By saying thank you, which most businesses don't you will automatically stand out from the crowd. By having an after-sales campaign, you can help to strengthen relationships. Keeping in touch with useful information, which could be about how they can best look after their new purchase or other useful information and the odd promotional gift will give you the perfect reason to keep in touch. People will not mind as long as the information is useful, and you are not trying to sell to them. Keeping in touch over a period of time is how all relationships are strengthened and nurtured, so why should the business relationship be any different. No one likes the person who only gets in touch when they want something. The same goes for a business which only gets in touch when they have something to sell. 7. Connect With Customers Who You Have Not Heard From For A While. Most people like presents. So, to send a promotional product to people you have not heard from in a while is a small reminder, that you are still around to help. You can even use Easter or Valentine’s day, as an excuse if you need one. Promotional products allow you to say thank you to staff and to give them a sense of belonging and increase engagement. 27% of promotional gifts are used for this purpose. They can be given when a new person starts a job, to give them a sense of belonging or as a thank you throughout the year. Letting people know they are appreciated is shown to increase productivity and staff retention. There are many great reasons to use promotional products. The most important thing to do is to clarify the reason you are buying the products and what you are looking to achieve with them, before making the decision on what products to purchase. If you have any questions or you would like some help, just get in touch. If you liked the blog please comment and share. Sign up here to get it straight to your inbox. Newer PostWho Gives You The Sinking Feeling? Older PostWhat are promotional products?